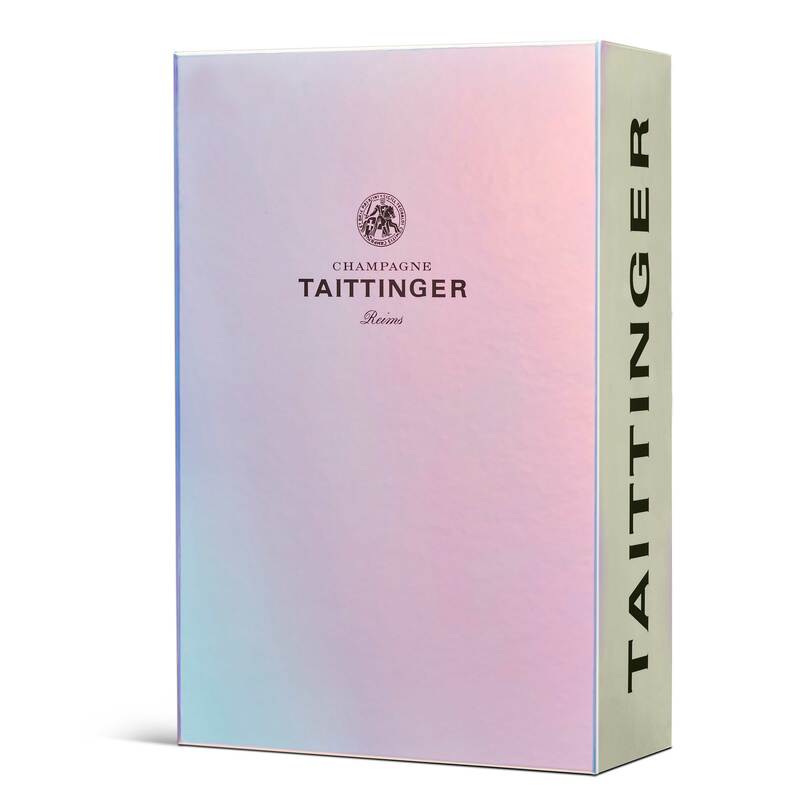 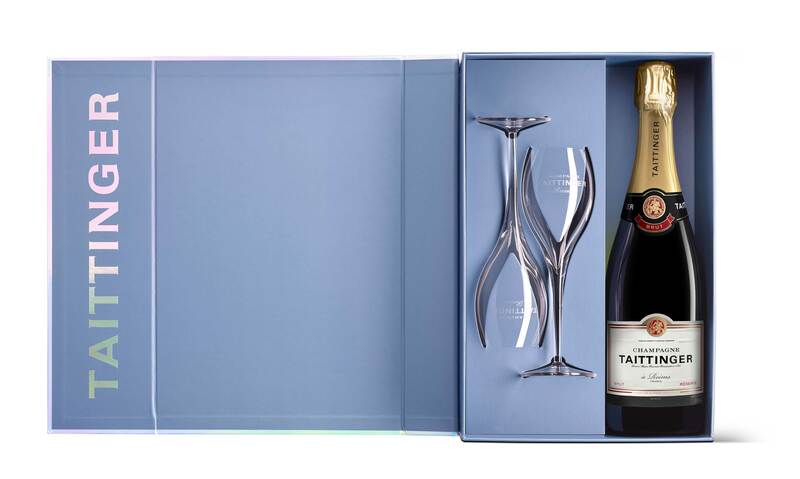 Taittinger Brut Reserve Champagne & 2 Flute Gift Set 75cl presents the champagne in its new Hologram bubble gift box. 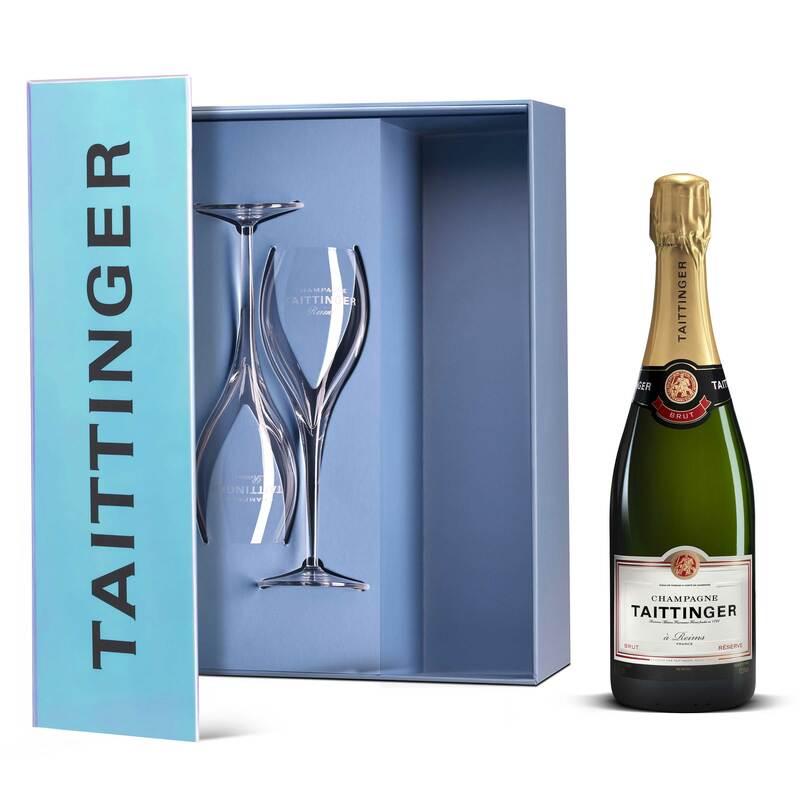 Taittinger Brut Reserve Champagne is a distinctively light Champagne. 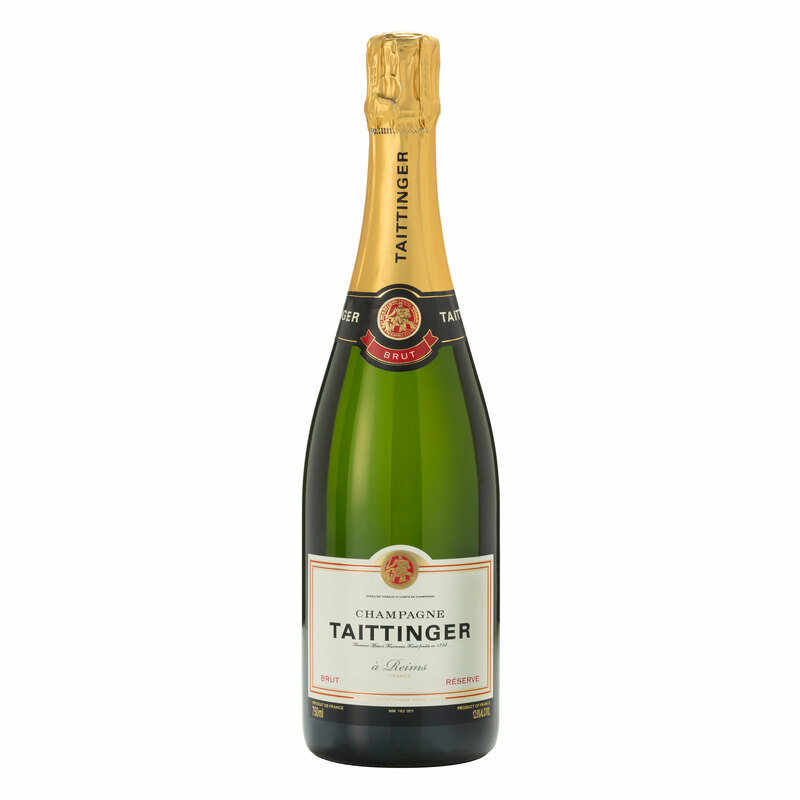 Pale with fine, strong bubbles the nose is of clean green fruit of Chardonnay and Pinot Noir Grape varieties.